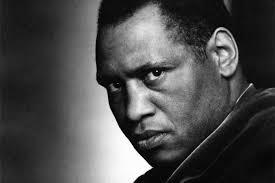 Why Paul Robeson Loses Appeal Over His Passport? Paul Leroy Robeson was exceptional in most things he did. He was a footballer par excellence at Rutgers University and an internationally acclaimed singer, theater personally and a dedicated civil rights activist in the U.S.. The latter day U.S. saw his merit in its true light and issued a postage stamp in his honor in 2004 but in 1955, his application for renewal of his passport was rejected by the state department and the decision was endorsed by a federal judge. T he cold war affected whole nations around the world adversely. Individuals were not left unaffected either. One of the most prominent citizens in the country, Paul Robeson was a victim mostly of the cold war preoccupation of the United States of America. Getting uninvolved and unaffected was much like attaining a six sigma black belt without having to enroll for the programme; in short impossible! Robeson was the best known African-American entertainer at the time. An immense Broadway hit, Show Boat, had Robeson in it essaying the famous role Joe. The song Ol’ Man River sung by him still has a lot of listeners and has been covered by scores of singers and bands over the years. His incredible bass-baritone held everyone in thrall and made him an enduring star in Broadway and films. Robeson did not rest on his laurels but took to civil right movement in a serious way. His natural intelligence took him places in the movement. His disgust at the American practice of racial segregation forced him to leave for Europe in 1928. Soviet Union fascinated him, perhaps more for its vociferous opposition to racism and discrimination than anything else. When World War II broke out, America and Russia found themselves together against Hitler, Robeson took it upon himself to perform for U. S. troops all over the world. In the circumstances, the government could not very well castigate Robeson for his views on racism and resigned to tolerating him. However, when the war ended, another war named cold war, started in earnest. Robeson expectedly supported the Soviet Union publicly and that started creating problems for him. Robeson, in order to fulfill his foreign contracts, requested that his passport be renewed. The State Department, as is its wont, asked that he sign an affidavit to the effect that he was not a communist and that he was loyal to the United States. Robeson, for his part, refused and approached the federal court. A federal judge ruled that the state department did right in not issuing passport to Robeson. Robeson had this to say of the verdict: “It is rather absurd that I was not allowed to travel because of my friendship–open, spoken friendship–for the Soviet people and the peoples of all the world.” He said that he was not issued the passport because he made it a habit of commenting about race relations in America during his performances. He reiterated the points in the interviews after the performances too. As prominent a person as Robeson denouncing the U.S. and favoring the Soviet Union was seen as the Achilles’ heel of the U.S.
By the time Robeson got his passport restored in 1958, he lost momentum and was performing less and less. But, FBI continued investigating him until he died in 1976. Written by Jenny Corteza – CNN iReporter and author on major publications. Jenny is great with words and concepts. She has been blogging for over half a decade now. When she started off initially, she realized just writing good content was not enough. Knowing what to write for whom was the key. Thank you Jenny for your nice Paul Leroy Robeson article especially written for the readers of passport-collector.com!